WASHINGTON: Pakistan and Afghanistan have agreed to form working groups to address trade-related issues and will hold a high-level meeting in Islamabad early next month to finalise the proposal, official sources told Dawn. 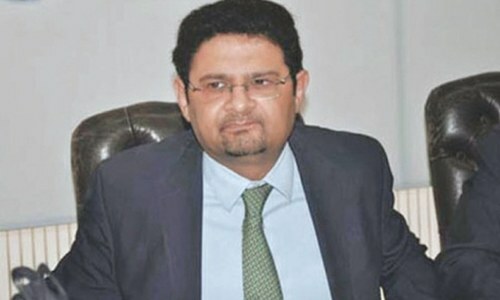 The decision was taken in Washington on Thursday at a meeting between Special Adviser to Prime Minister on Finance and Economic Affairs Miftah Ismail and Afghan Finance Minister Eklil Ahmad Hakimi, who agreed that the meeting should be held in the first week of May. The Pakistani team will include representatives from the ministries of finance and commerce as well as the Federal Board of Revenue. Afghanistan also agreed to send a similar, high-powered delegation to Islamabad for the talks. In Thursday’s meeting, Pakistan is believed to have expressed concern at a sudden decrease in bilateral trade while the Afghan delegation urged Islamabad to allow transit trade between Afghanistan and India. The Pakistani side informed their Afghan counterparts that in the past such trade created internal problems as most of the goods intended for Afghanistan were sold in Pakistani markets instead. The officials said that once such problems were resolved, Pakistan could open its borders for transit trade between Afghanistan and India. The Pakistani team pointed out that trade between the two nations had reached a record high of $2.4 billion in 2010-11 but now it was down to almost $800 million a year. In an earlier meeting in Islamabad, Pakistan had also underlined the links between the suspension of trade talks and a rapid decline in bilateral trade. Last year, Kabul unilaterally put off a meeting of the Afghanistan-Pakistan Transit Trade Coordination Authority (APTTCA), a high-level forum set up to deal with problems hindering smooth implementation of a revised transit treaty. In October 2017, India too rejected an offer from Pakistan for talks on transit trade to Afghanistan. Miftah, who is in Washington to attend spring meetings of the International Monetary Fund (IMF), also held bilateral talks with US officials. The American team asked if Islamabad was seeking another aid package from the IMF, as it did in 2013 but the adviser is believed to have informed the US team that the current government had no such plans as it had enough resources to cover its expenses for the next six months. The current government will launch the next fiscal year’s budget in end of April and hopes to leave enough funds for the interim government to meet its needs as well. In 2013, the country acceded to a $6.6bn loan from IMF’s Extended Fund Facility to help deal with “slow growth, declining reserves and increasing fiscal deficit.” Pakistan successfully completed the 36-month package and earned IMF’s praise for displaying fiscal discipline and reserve accumulation during this period. In its first post-programme monitoring report, however, the Fund has warned that these gains are now at risk as reserves fall and the external deficit persists, as well as a slackening of fiscal discipline. Miftah also had a series of meetings with IMF and World Bank officials, and in those with the US team, the government’s fiscal policies also came up for discussion. In previous meetings. US, IMF and World Bank officials had all insisted that the government needs to revise its fiscal policies as the Pakistani currency was overvalued. In this week’s meetings, the Pakistani team pointed out that since December 2017, the government had devalued the currency by 9.25 per cent, in two steps. 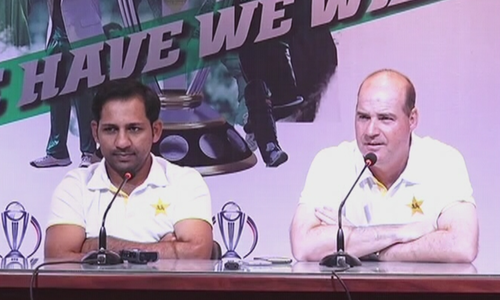 The Pakistani team informed the officials that while it felt the currency was no longer overvalued, Islamabad was ready to continue evaluating the exchange rate if it felt the need to do so. “The current policymakers in Islamabad do not share the rigidity of the former Finance Minister, Ishaq Dar, on this issue. They appear flexible,” said an official who attended some of the meetings. The Pakistani side also acknowledged that current account deficit and trade gap were issues that needed more consideration, as did national savings. Though the country’s gross national savings (per cent of GDP) fluctuated substantially in recent years, it tended to decrease through 1998-2017, ending at 11.8pc of GDP in 2017. They said the government was working on plans to enhance it to 16pc. The discussions also covered other issues, such a decline in remittances, which had hit the national economy but the team noted that global remittances were once again going up, which will also benefit the country. Last year, Pakistan’s imports were valued at $45bn while exports only brought home $21bn. The delegation, however, explained that much of this gap was due to capital goods, which will bring medium to long-term dividends for the national economy. They also highlighted year-on-year increase in exports, which was in double digits in the last nine months, indicating a positive trend. In their conversation with US officials, Pakistani side also mentioned its preparations for a national action plan to avoid being put on the grey list of the Financial Action Task Force (FATF). The US team, however, did not show much interest in this issue. The FATF has already put Islamabad on a watch list of the countries whose financial systems have strategic deficiencies in combating money laundering and terror financing. It will decide in June whether to keep Pakistan on its grey list. 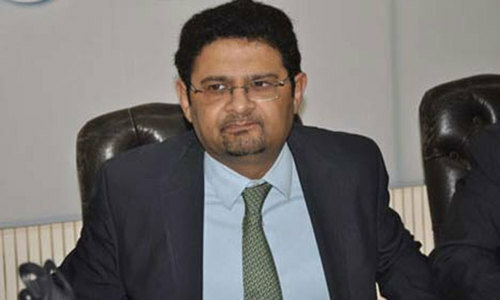 "The decision was taken in Washington on Thursday at a meeting between Special Adviser to Prime Minister on Finance and Economic Affairs Miftah Ismail and Afghan Finance Minister Eklil Ahmad Hakimi, who agreed that............"
Could they not have discussed all these bilateral issues in their two respective countries? Why in US? Miftah could have met Afghan officials in Kabul or Islamabad instead of traveling to Washington since he has declared that Pakistan does not need any loans from the IMF and the world bank so what is the purpose of his visit? This govt has zero credibility. Own nation don’t trust this corrupt PMLN how can other nations do? Waste of time. Afghanistan is making billions by selling Opium in tons. They don't need other business. Get ready for FATF black list. "The US team, however, did not show much interest in this issue." Looks like FATF blacklisting is confirmed. Submitting to the American black mail again? What is in it for you? Visas or permanent residence for your family? Advisers can advise the respective ministries at home but cannot and should not be representing and contracting on national issues abroad. This is the most messed up model of governance. Foreign affairs were irreparably damaged before by the same modus operandi. Now this. FATF was just a political embarrassment. They aren’t sanctions, and Moody’s says it won’t access Pakistani access to international funding. So let’s not get obsessed over this and hand the Trump administration a win by being obviously annoyed. Reduce US transit route flow to Afghanistan, slowly slowly. Then they will pay attention. maybe you don't know, but why comment then. US is Pakistan's biggest export destination. Block the NATO supplies, not only will you lose the US exports but also face sanctions from US and allies. Easier said than done.